A good presentation not only requires good content, it also demands to be presented with a suitable and alluring design. The layout, color, and background images need to be chosen on the basis of the genre of content. Like coffee cannot be enjoyed if served in a plate, the war heroism or political story won’t look good in a pink Barbie doll theme. So here is our pick at some Political WordPress Themes that will aptly complement your patriotic webpages. You may also see Best WordPress Templates. No other theme can give the kind of professional yet elegant touch that this theme renders to your website. The standard template is designed with Orion Framework in HTML. It also contains social media icon links at the top and the image slider works perfectly. This can be used by news websites, political organizations or for any blog of political genres. You can also see Social Media WordPress Templates. 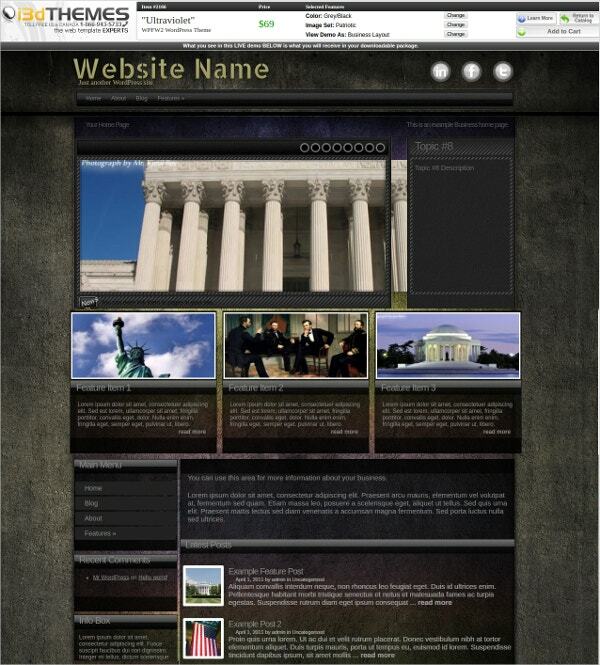 This is yet another beautifully designed template that best suits a wide range of websites in the political niche. The multi-level menu surely impresses the users and its primary image slider at the top, works smoothly. It lets you choose the shades of colors as you like. 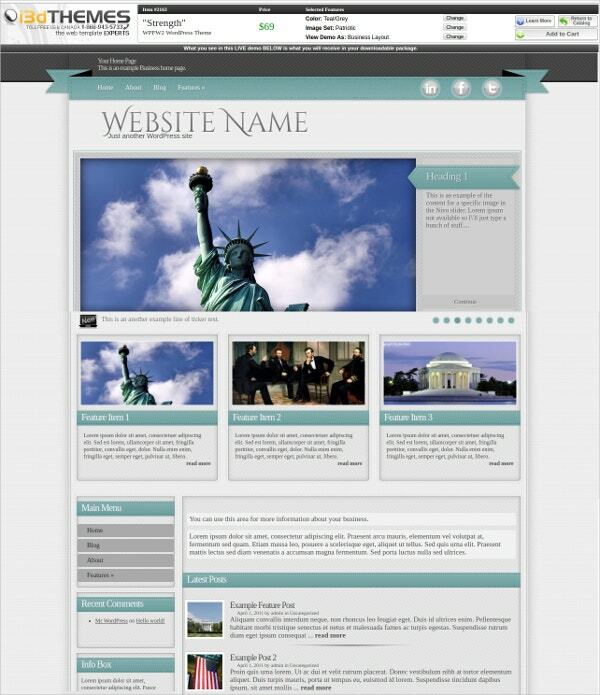 This template is SEO ready and gives you the ease of web development. You may also see Responsive WordPress Templates. This template emerges to be the best in the lot of patriotic themes for its agility, responsiveness, and cross-browser compatibility. This is a great template for any organizational web page, be it political or non-political. You can choose the layout to contain one, two or three columns that best presents your content. 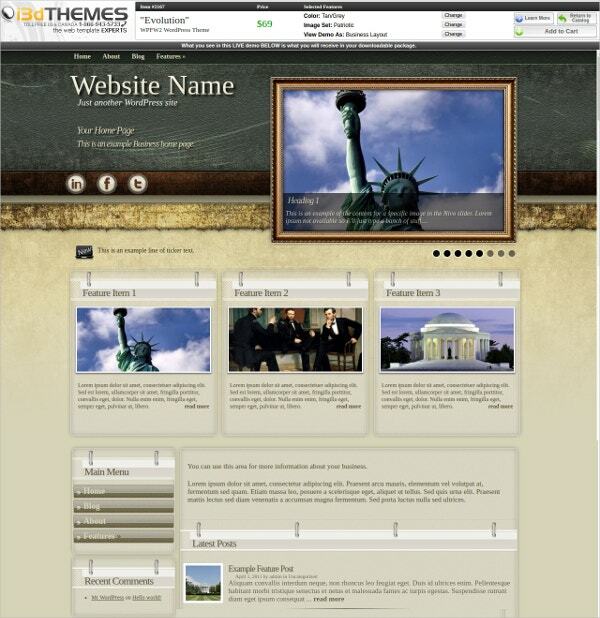 This theme is exclusively designed to cater to the need of a patriotic template for politicians, political agencies, social campaigns or pages with national concern. The waving USA flag in the background kindles a spark and makes the theme more amazing. This is optimized, compatible and responsive. The colors, sidebar and layout can be customized fully. 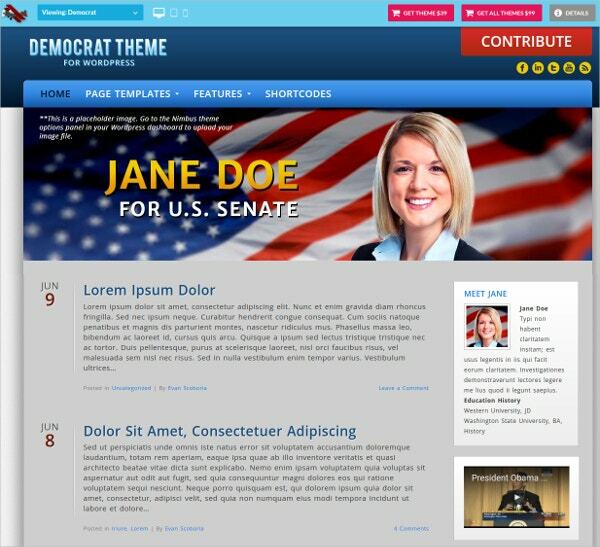 A theme designed especially for the candidate’s web pages for various political campaigns is here. The layout is perfect for designing a portfolio type web page. This is simple and is not over done with colors. The widgets are placed in a customizable sidebar. This template also contains a donation link through which people can contribute to the candidate’s fund. 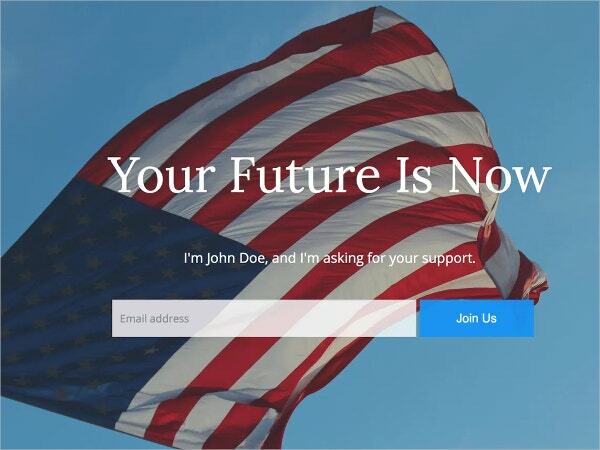 The important factors that affect the choice of political themes are a simple layout, no funky colors and a comparatively serious tone that is uniformly felt from top to bottom. 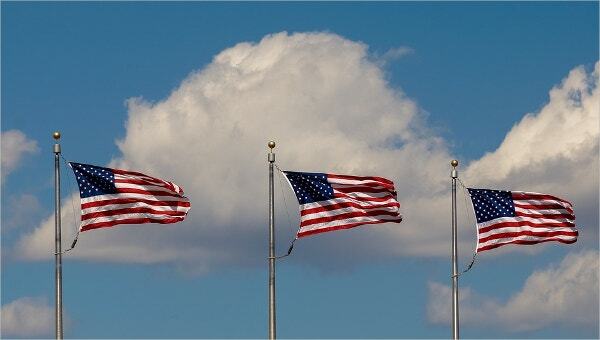 So choose from the wide range of patriotic templates and build a page that your visitors would remain glued to. You can also see Blog WordPress Templates.